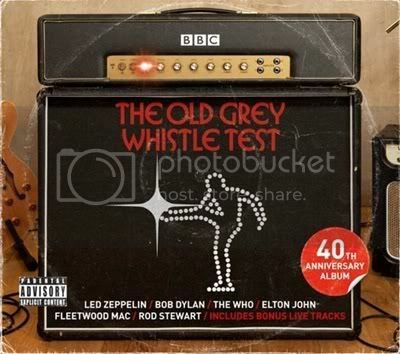 [MULTI] Ramones - Various Artists - The Old Grey Whistle Test (FLAC) (2011) | Free eBooks Download - EBOOKEE! Posted on 2011-09-18. By anonymous. The main body of the 'Old Grey Whistle Test 2011: 40th Anniversary Edition' includes classic rock acts from the OGWT era including the likes of Elton John, Eric Clapton, The Who, Bob Dylan and Led Zeppelin as well as a number of American New Wave artists such as Blondie, The Ramones and Talking Heads. The bonus tracks were recorded live on the show and cover the shows entire 16 years and as such will have a more diverse feel with artists from Alice Cooper and John Lennon to Magazine and Simple Minds. PLEASE SAY THANKS IF YOU LIKE THIS TOPIC, IT JUST TAKES A SECOND! No comments for "[MULTI] Ramones - Various Artists - The Old Grey Whistle Test (FLAC) (2011)".